Watkins Glen Harbor Hotel presents an array of exciting venues that will inspire any meeting, banquet, or social gathering. 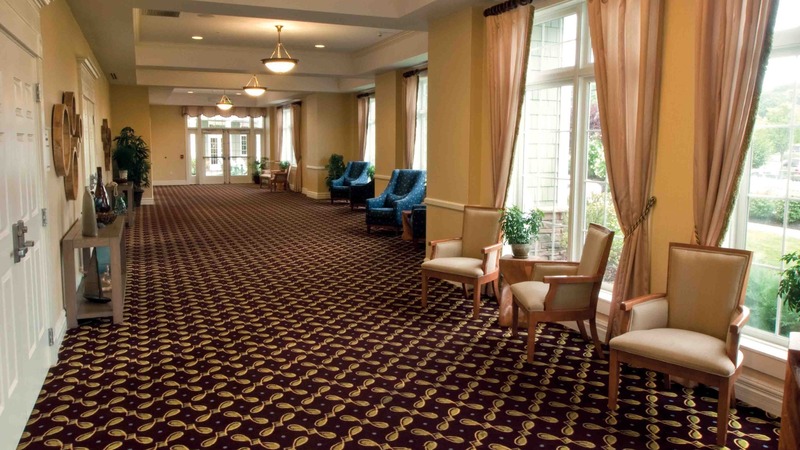 Our beautiful facilities, unparalleled in the Finger Lakes, offer 6,000 sq. ft. of thoughtfully designed space to accommodate groups both large and small while ensuring privacy. Bringing the beauty of the outdoors in, our Keuka, Cayuga, and Seneca Rooms are bathed in natural light and highlighted by lake views. 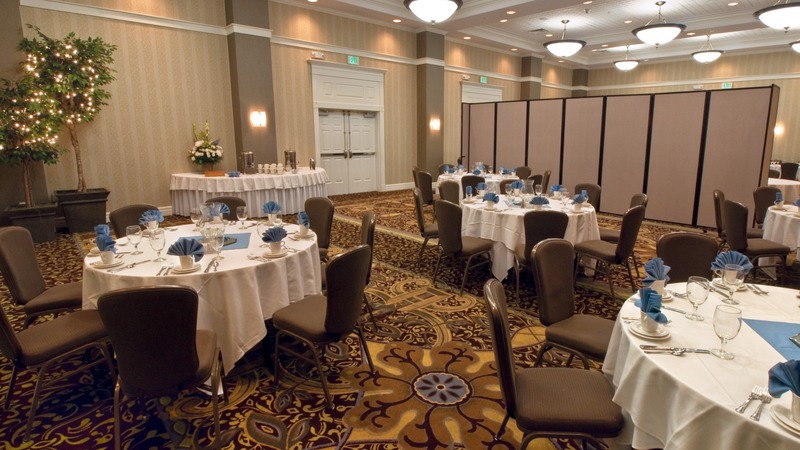 All are adjacent to our elegant Harbor Ballroom, which can accommodate up to 300 guests. Meeting planners will appreciate the luxury accommodations, business center, and access to high speed Wi-Fi and other state-of-the-art technology. Watkins Glen Harbor Hotel is a proud member of Meeting Professionals International and Empire State Society of Association Executives. 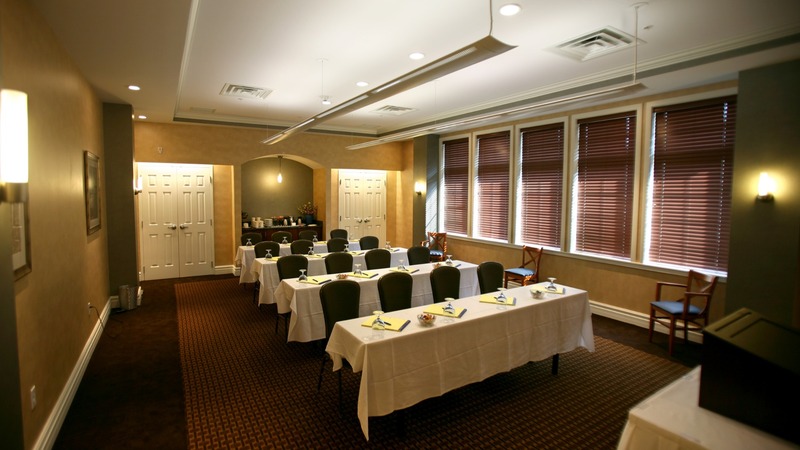 The Keuka Room is a perfect space for intimate retreats, strategic planning and dinner/presentation events for up to 24 people or a reception of up to 50. This room has village view windows and is conveniently located near the Hotel's Coldwater Bar and Blue Pointe Grille Restaurant. Complimentary wireless internet access and a 72' flat screen projection wall monitor are standard in this room. The PreFunction Room is a beautiful space overlooking Seneca Lake, ideal for pre-event cocktails or small party dining for up to 40 people. This room features wall to wall windows with direct access to our patio and fire pit. 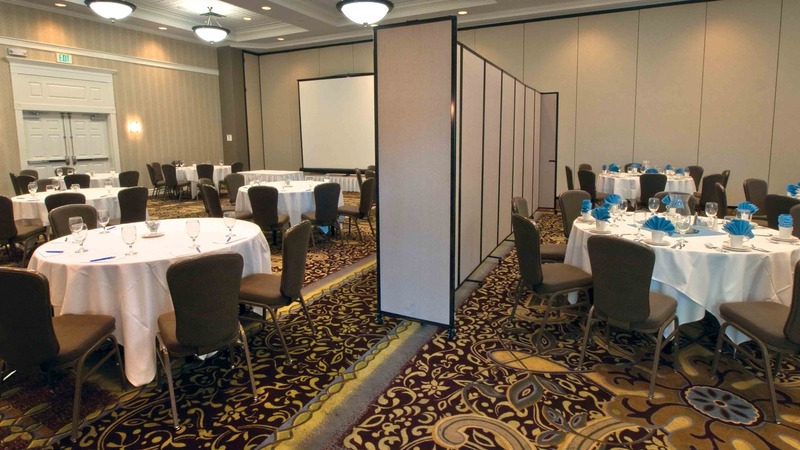 The Seneca Ballroom is the perfect atmosphere for dinner parties and meetings. 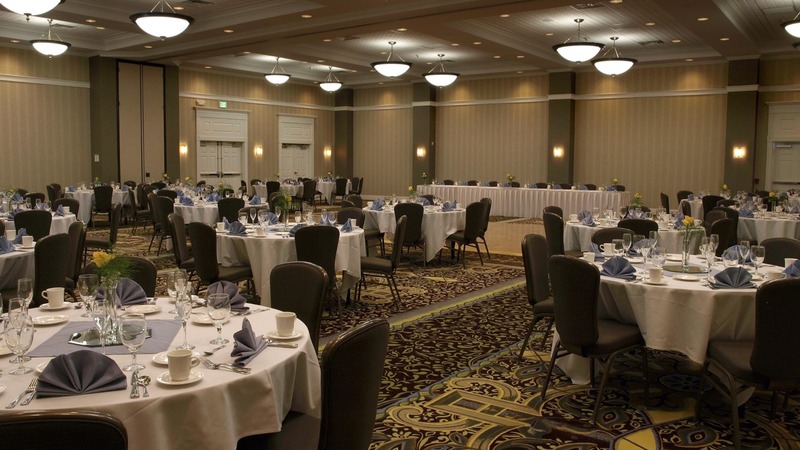 Surrounded by our PreFunction space with plenty of natural lighting and nearby lake views, the Seneca Ballroom can accommodate up to 120 for full-service dining, or reception style for 175. Our Harbor Ballroom accommodates weddings, conference and social events up to 300 people, as well as reception style for up to 400 guests. This room boasts elegant vaulted ceilings and is simply crafted to allow versatility, suiting all types of events.